Dion Price brings you more than just vocals, he also performs with electric energy which en-captures all who has bear witness; he is NOT your average artist. 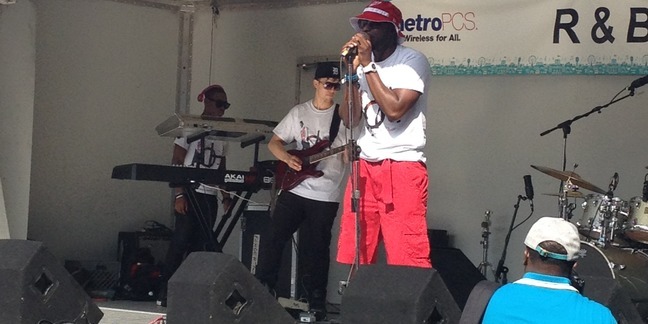 Born in Chicago, IL and now residing in Detroit, MI, the infusion of R&B and Pop music is Dion Price's signature. Signed to Grand Slamm Records, Dion Price is now making his dream come true; Dion has gained fans and has brought the joy of music to people hearts from all over the country. By gracing various stages in Michigan, Florida, Tennessee and Texas, Mr. Price has created quite a platform, and those are just a few states that has embraced his talents! His musical talents emerged at an young age giving him a clear path in his soulful journey. Music is his only love! Be it his charismatic style or his captivating voice, Dion captures the audience attention immediately, earning him standing ovations on a host of stages,no matter the demographic. Dion Price definitely has what it takes to set the world ablaze! Penning a majority of his own music scores, Price also incorporates choreographed dance moves and an exciting show to keep you engaged. 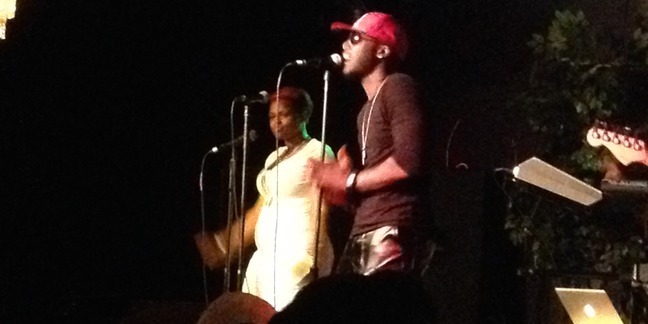 Creativity and a positive attitude is what sets the tone for Dion’s music. His ambition, showmanship, and vocal ability has and will inspire his audience long after the curtains have closed. Dion Price arrives with his smooth ballad titled, “Down,” featuring Samuel Shabazz. In his latest offering, he questions if his girl is really down for him like she claims to be. He croons over the smooth production question if it is love she feels for him. Dion Price brings you more than just vocals, he also performs with electric energy which en-captures all who has bear witness; he is NOT your average artist. 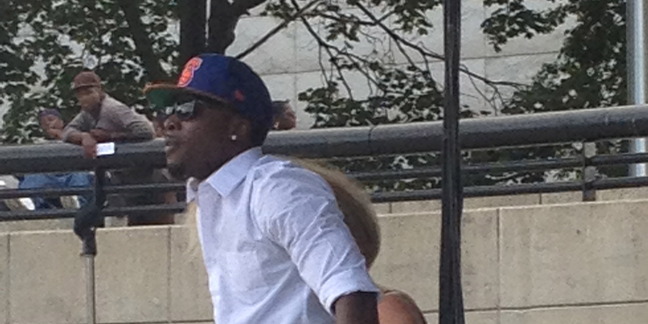 Born in Chicago, IL and now residing in Detroit, MI, the infusion of R&B and Pop music is Dion Price’s signature. Signed to Grand Slamm Records, Dion Price is now making his dream come true; Dion has gained fans and has brought the joy of music to people hearts from all over the country. By gracing various stages in Michigan, Florida, Tennessee and Texas, Mr. Price has created quite a platform, and those are just a few states that has embraced his talents! 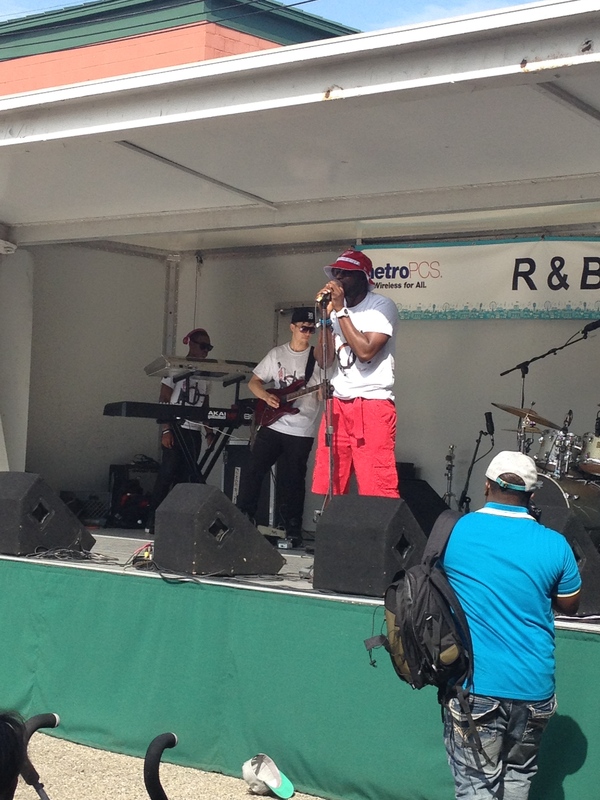 Detroit, MI., July 12, 2014 – Grand Slamm Records Pop/R&B Soul artist, Dion Price takes the stage and steals the show at the Paradise Valley Music Festival in Downtown Detroit. The show started at 3pm July 12, 2014. 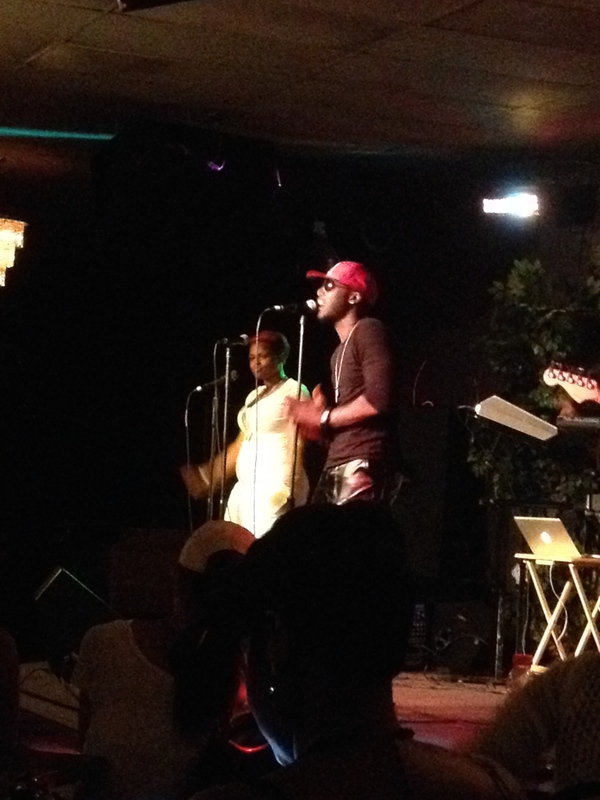 During Dion’s performance with his amazing band, there were fans in the audience singing along with Price’s hit single “What If”. Dion ignites an already lit flame of excitement into an atomic bomb of fun. 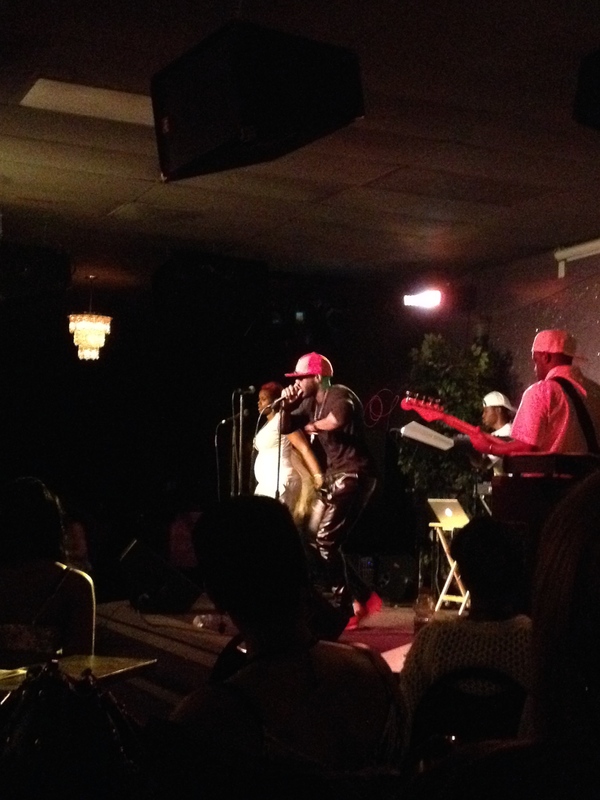 Dion Price brings a sense of infectious energy to his craft and he transports that out of the audience. The people attending the music festival are truly new dedicated fans/friends of Dion Price. Orlando, FL., May 17, 2014 – It’s the moment you have all been waiting for; Grand Slamm Records Presents “Chess Moves” a compilation mix tape released May 13, 2014. The album can be downloaded on datpiff.com and other mix-tape avenues. On May 17th in Orlando, Florida at Parallel night club Grand Slamm Records’ A&R Chester Williams V., celebrates his birthday by presenting the Official Compilation album, featuring A&R Chester Williams V himself, Pop/R&B artist Dion Price, Samuel Shabazz, Big J, Bria Zhanae, Tamara Jewel, Brit Trees, LB, William Zillions, Obhm Jew, Smoove G. Money, Nino, and Man Bandz. The album release party provides only a ten dollar entry to drink all night, one-hundred dollar bottles, and ladies are free until 11:30pm. The name of the compilation mix-tape “Chess Moves” identifies the movement of the Record Label and their team to a game of skilled chessmen and “chesswomen” moved, which have different types of moves according to the “chess” game of the music industries kind. The object is to checkmate the opponent's King. This event embodies that skill and talent in musical “Chess Moves”. Special guest, sponsors and media will be in this events attendance, you don’t want to miss it!!! Grand Slamm Records Pop/R&B Soul artist, Dion Price does a guest star performance at Plymouth Educational Center Preparatory High School http://www.plymouthed.org/index.html. There were sold out tickets in one day prior to the talent show scheduled date. Student, faculty and parents attended the school talent show right before good Friday and Easter holiday weekend. The Sigma Beta Club Step Team and Zeta Archonette Step Team also graced the stage as guest performances, yet Dion seemed to steal the show. During Dion’s performance with his amazing band, the students rushed to the stage beside the judges of the talent show and sang along with Price’s hit single “What If”. Dion turns the talent show into a true party by pulling some of the students and parents (now devoted fans) on stage with him; he ignites an already lit flame of excitement into an atomic bomb of fun. Dion Price brings a sense of infectious energy to his craft and he transports that out of the audience. The students of Pymouth Educational Center are truly dedicated fans/friends of Dion Price. You can catch “Dion Price Journey” part 3 on YOUTUBE to see the first appearance Price made at the PECP High School. Check it out here https://www.youtube.com/watch?v=PWyF7QCpiF . Stay tuned to “ Dion Price Journey” part 4, Its Crazy! Grand Slamm Records Pop/R&B Soul artist, Dion Price will take you and the stage by storm Tuesday March 11, 2014. Dion Price performs as a “Man of Soul” along with other artist; (Javon, Pato and Bobbi J) in the historic Music Hall’s Jazz Café http://www.jazzcafedetroit.com/ celebrating Detroit Music Week (DMW) March 10th-16th. DMW reaches a multitude of music genre by providing various showcases and features throughout Downtown Detroit and across the state of Michigan to attain the diverse demographics http://id313music.net/. Dion is an amazing contribution to DMW this year; he is definitely setting the quality of an inviting, enthusiastic energy in the indie music industry. 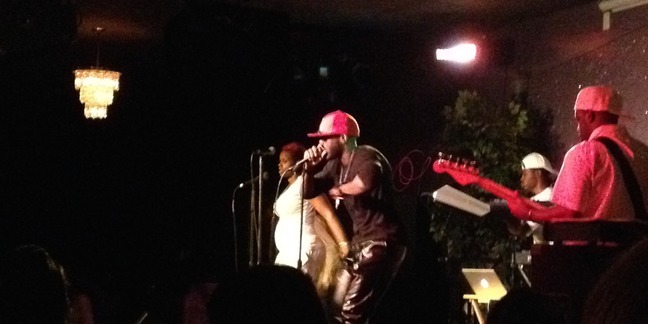 As Grand Slamm Records would describe it “Talent has no color, just energy!” Last year Price performed to a sold-out crowd in the same venue, Jazz Café at Music Hall to which he was delightedly asked to perform again March 11, 2014. This will be one event you don’t want to miss! Grand Slamm Records Pop/R&B Soul artist, Dion Price will make an appearance at Plymouth Educational Center Preparatory High School http://www.plymouthed.org/index.html. 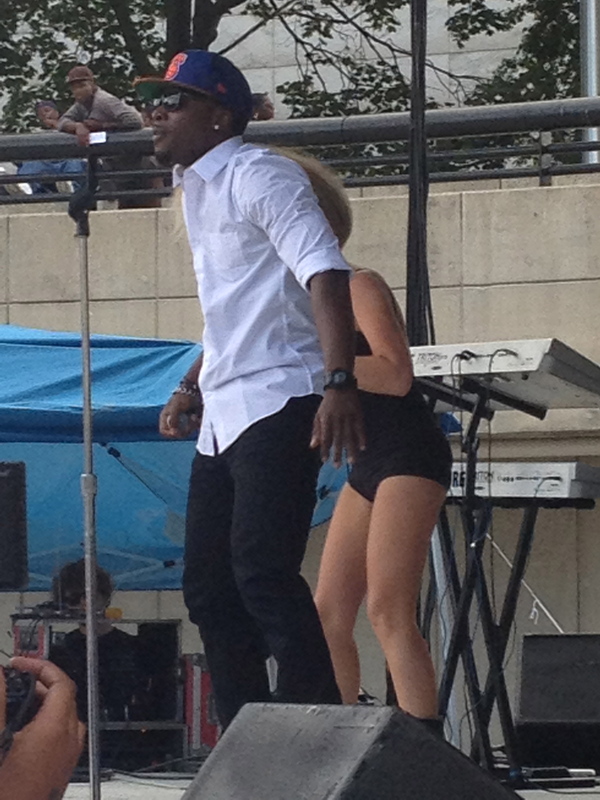 Dion brings a sense of infectious energy to his craft and he transports that out of the audience. In 2010, he headlined in front of a sold-out audience at the Swag on Fundraiser, an organized Haiti Relief effort, at the Vision Tech Center on the campus of Livonia Schoolcraft College. When Price isn’t gracing the stage, he’s working hard to grind and shine, which is a moto he lives by from his high school days to young adult. Authoring most of his own music, Price also choreographs his own dance moves and models. The students of Pymouth Educational Center are sure to be in for a delightful treat aside from the brownie deserts that are served for lunch. The fun is yet to come!